Chinese smartphone maker Xiaomi has developed a tablet capable of transforming into a smartphone, according to a new report. A video of the device was shared by Evan Blass on social media, showing a person flicking through apps before folding it up. Mr Blass has a reputation for unearthing images and details of products before they officially launch, though he was unable to confirm the legitimacy of the video. "Can't speak to the authenticity of this video or device, but it's allegedly made by Xiaomi," he said. Xiaomi did not respond to a request for comment on the leaked video. If true, Xiaomi is among several other companies working on foldable devices, including fellow electronics giant Samsung. The South Korean firm teased the device at its annual developer conference in November, claiming it will serve as the "foundation of the smartphone of tomorrow" —though full images were not revealed. 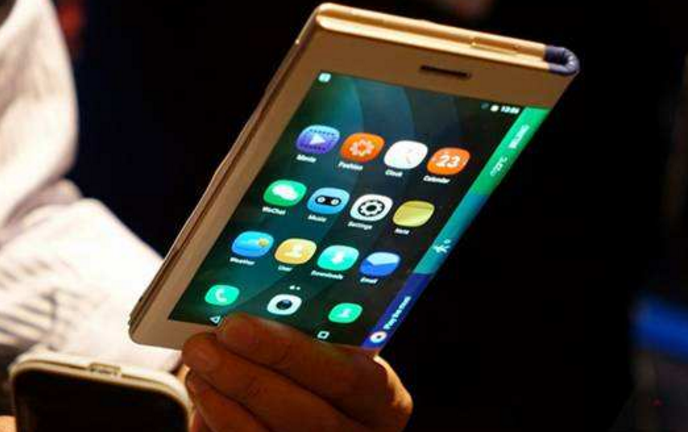 The folding smartphone expected to be called the Galaxy F. Other companies that are rumoured to be working on a foldable smartphone include Huawei and LG, as well as several smaller startups that include Royole. 1. What did Chinese smartphone maker Xiaomi develop? A A tablet which can transform into a computer. B A tablet which can transform into a smartphone. C A tablet which can transform into a fan. D A tablet which can transform into a fridge. 2. What does the underlined word “unearthing” mean in Chinese? 3. When did the South Korean firm tease the device? A Evan Blass shared the video of the device on social media. B Xiaomi has responded to a request for comment on the leaked video. C Xiaomi is among several other companies working on foldable devices. D Huawei and LG are said to be working on a foldable smartphone.